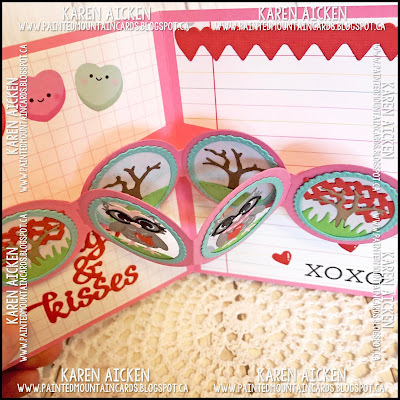 It's Fun Fold Friday here on my blog, and I'm sharing another Sneak Peek of Karen Burniston's new release which should be shipping SOON!. 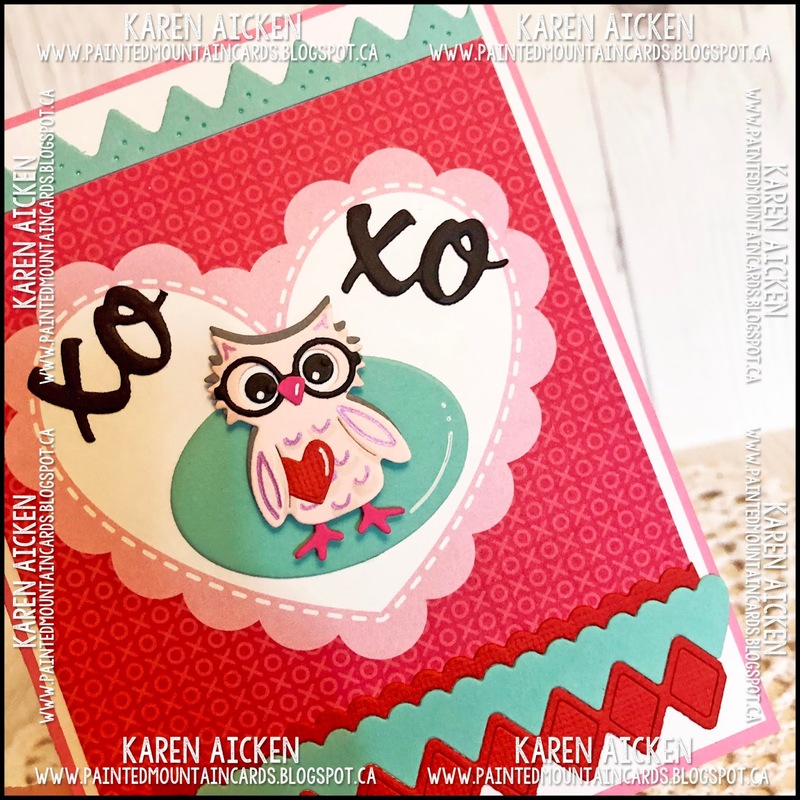 For the card front, I added several different borders using the Border Blends Argyle die set, the XOXO is from the Word Set 9 Love, and of course the sweet owl from the new Feathered Animals. Inside I used the new Oval Frames Pop-Up to animate a pair of heart-holding-owls. The Oval Frame piece can either Pop-Up when the card is opened, as I did here - or Drop Down depending on how you adhere it inside. So even more versatility in a die set, which I love. With all the small dies, I was able to use up a whole bunch of card stock scraps!! Note - be sure of the orientation before decorating the ovals. I had intended on making this one a 'drop down' version, but my decorated ovals were upside down when I went to adhere them. Either way is fine, it still works perfectly and it all depends on how you want to display the card. I just wanted to give you the heads up about paying attention to the orientation.